I've blogged about Mina's "squeaker seeker and destroyer" tendencies before (see December 2009 Archive). 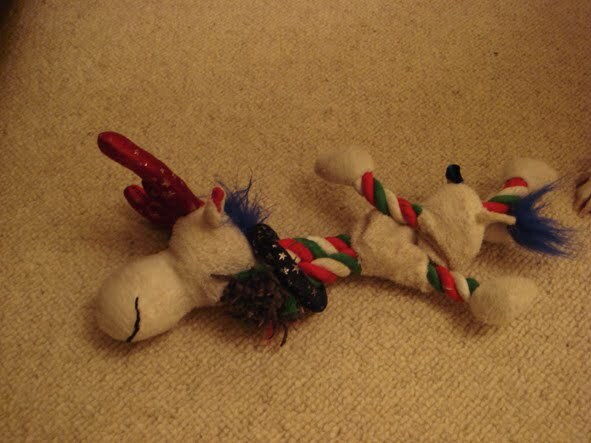 I'm sure it's a situation many dog owners find themselves in... a brand new plush toy, dog excitedly starts to play with it and then about 50 seconds later, said plush toy has been well and truly disemboweled, squeaker removed and the stuffing knocked out of it - quite literally. So, what's survived and what's made it onto the Mina Wall of Shame? Sadly, this teddy didn't live long past Valentine's day. 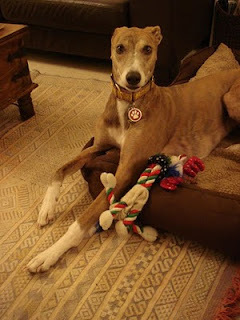 I bought three teddies in total - one for each hound - and yes, you've guessed it, Mina destroyed them all! Only one of the original teddies now remains. This Ted is minus his innards and one leg, but still gets thrown around by Mina and Jasper on a fairly regular basis. 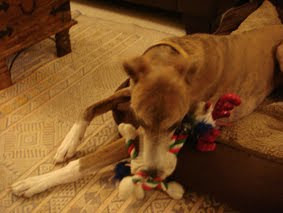 ...well, OK then, it wasn't really; it was Christmas day and each hound received Rudolph the Rope Reindeer. Even poor Rudolph couldn't stand up to Mina's inquisitive and supercharged squeaker seeking capabilities. I suppose you could say it was her alternative to the stuffing served with the turkey! Another multiple buy, I have lost count of how many versions of Freddy the Frog I have bought - he croaked it too! The slide show is like an animation of Mina in full squeaker seeker and destroyer mode. To find out what toys have survived the Mina Wall of Shame, watch out for The Alternative Toy Story, Part 2...coming soon to a blog near you. 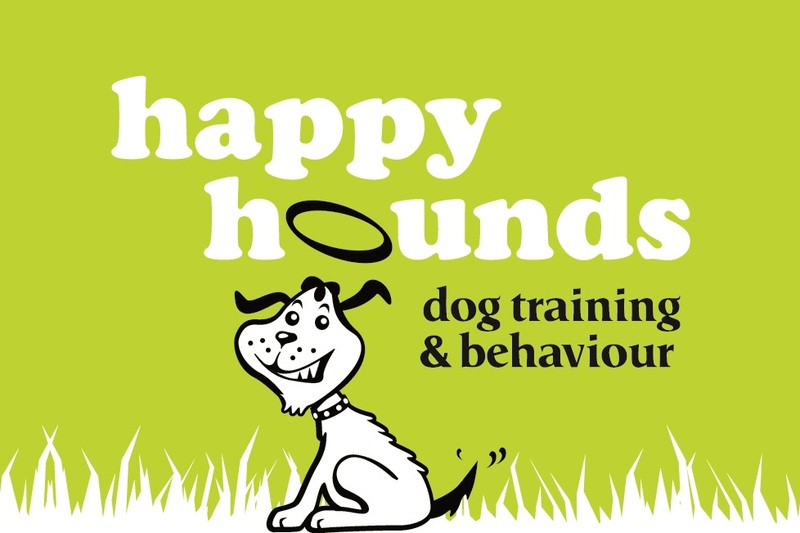 If you've some stories of your dogs toy terrors, do share them too. Brought back memories of Ben, my last Shep/Collie mix. His pièce de la résistance was a bed too - he would play fetch with the scraps till they were no bigger than a .50p coin. He only ate the pad, the outside ring he saved to play 'turtle', running around the house with the thing on his head, bumping into everything and everyone!